Product prices and availability are accurate as of 2019-04-17 14:02:21 UTC and are subject to change. Any price and availability information displayed on http://www.amazon.com/ at the time of purchase will apply to the purchase of this product. The corded lightweight bagless upright vacuum cleaner NEU 180B is truly an efficient helper for you to keep your house clean and neat. *The powerful suction plus wide operation reach enable you to clean every part of your house. 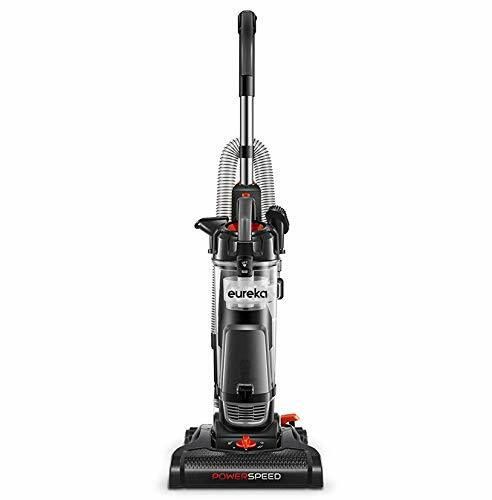 *Equipped with a detachable steel hand and 3 on-board tools, the vacuum is available to clean places from carpets and bare floors to ceilings and other hard-to-reach places. *This upright vacuum cleaner has 5 height adjustment settings to fulfill your cleaning needs on different floor surfaces. *Comes with a transparent cover of the dust cup, you will always know when to conduct a hassle-free and mess-free emptying. *Zero maintenance cost! When it's time to clean the filter and XL dust cup, a rinse under running water will do.